George C. Gordon was born in Canada in 1832 to Samuel and Clarinda Lucas Gordon. He first appears in Redford in the 1860 census with his second wife Caroline (Carrie) Spencer. His first wife, whom he married in 1853, was Charlotte Ross. She died in 1855. Charlotte and George had one daughter named Lottie. Lottie lived with her grandparents and later married H.P. Smith of Howell. George and Caroline had six children – Ada, Grant, Clifton, George, Donald, and Spencer. According to Silas Farmer’s History of Detroit and Wayne County and Early Michigan, Gordon taught at Redford Center for a term when he was 19 years old. He studied law at the University of Michigan, graduating in 1861. However, Confederate soldiers captured Gordon along with many other Union men. He spent about 20 months in various Confederate prisons, among them the infamous Libby prison. 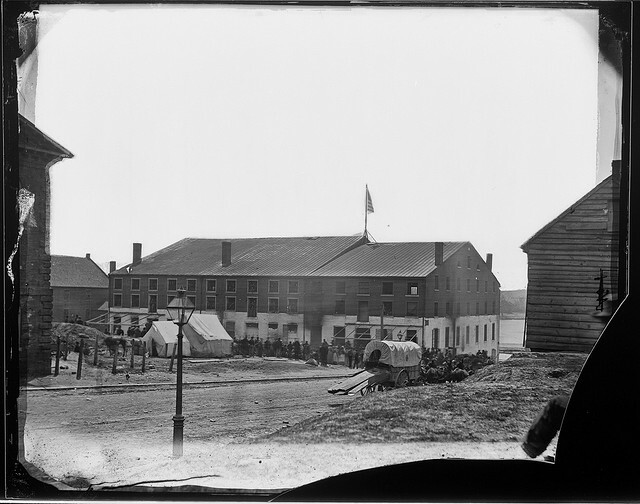 Matthew Brady photograph of Libby Prison, 1865. From the National Archives and Records Administration. 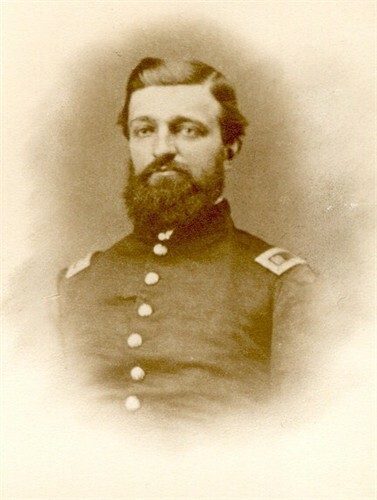 Gordon earned a promotion to Brevet Major on March 13, 1865, and mustered out on June 30, 1865 in Detroit. After the war, he worked on his farm, and served as Justice of the Peace and Superintendent of Schools for Wayne County. He died in August, 1878 in Redford. Caroline moved in with her sons and lived until 1929. They are both interred at Grand Lawn Cemetery. If you’d like to learn more about George C. Gordon and the other brave soldiers and their families from Redford, pay us a visit. Maybe you will find something out about your ancestors, or the people who used to live in your neighborhood!